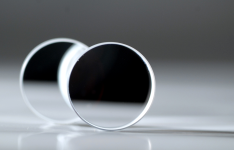 Notch filters (= minus filters, narrow band pass filters) reflect a narrow band from a wide specified spectral range and transmit on both short wavelength and long wavelength sides of this band. 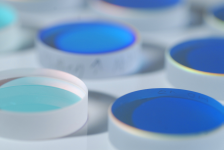 These filters used in Raman spectroscopy, laser-based fluorescence instrumentation, and multiphoton microscopy. 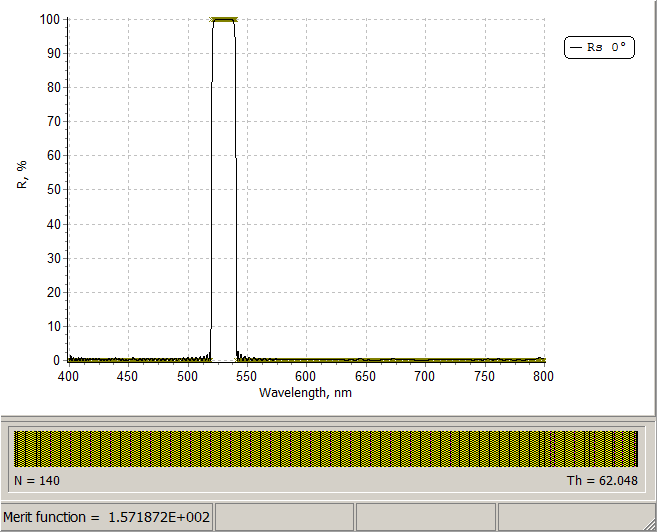 Typical target reflectance is as high as possible in the high reflectance range and as small as possible in the rest of the specified spectral range. Design approaches: rugate type coatings and conventional multilayer stacks. The advantage of the rugate and quasi-rugate coatings is that they suppress ripples in the transmission spectral ranges. The disadvantages of conventional multilayer solutions is that they might contain layers of four, five, and more materials. Notch filters with narrow and extremely narrow high-reflection zones can be obtained using efficient numerical design algorithms. Two-component solutions typically contain thin layers which may be a problem in the course of the practical realization of the obtained designs. 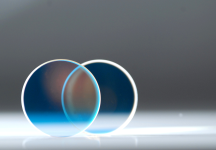 However, it has been demonstrated by several companies that production of multilayer notch filters containing thin layers is realistic. See for example, these references , , , and . 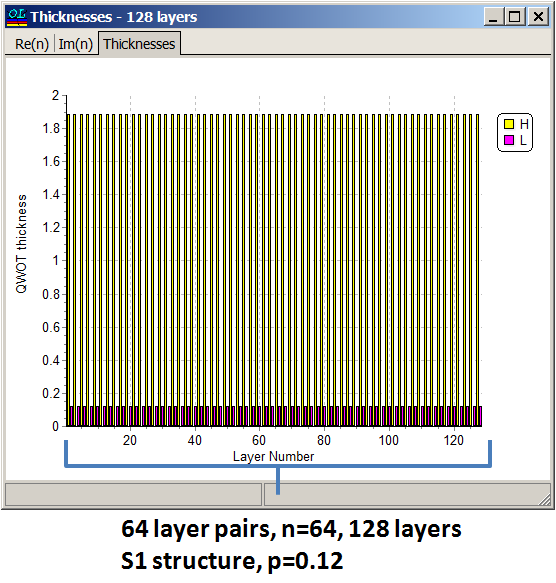 \(n\) is the number of layer pairs. 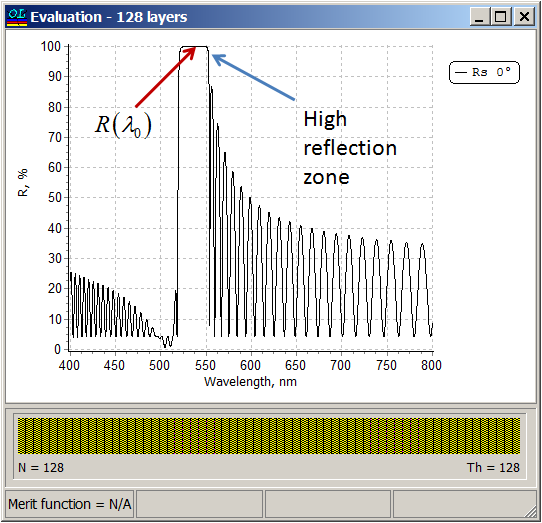 Analytical estimations of the reference wavelength reflectance \(R(\lambda_0)\) and the width of the high-reflection zone \(\Delta\lambda_0\) are obtained allow you to find the number of layer pair \(n\) and fraction \(p\) that you need to achieve target specifications. \( n_1=2.35, n_2=1.45, n_s=1.52, n_a=1\), number of layer pairs \(n=64, \lambda_0=532\) nm, \(p=0.12\). \( n_1=2.0, n_2=1.5, n_s=1.52, n_a=1\), number of layer pairs \(n=32, \lambda_0=532\) nm, \(p=0.2\). See the details on the next page. Here you can NOTCH CALCULATOR presented above. 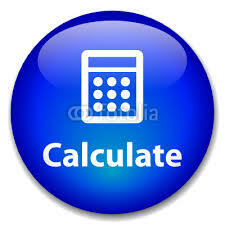 Simply press Calculate button. In our video example we illustrate how to work with NOTCH CALCULATOR.